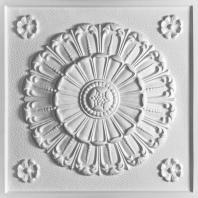 Medallion ceiling tiles a snap to install. I put them in our bedroom and walk-in closet. We love our ceiling and anyone who has seen it remarks how original and different it is. I installed it myself and it was a snap.